June 22, 2011, 2:32 p.m.
Like the other films in the franchise, Transformers: Dark of the Moon drops in on the saga of two warring sentient robot factions whose intergalactic battle spills over from their home planet (Cybertron, natch) and imperils humankind. 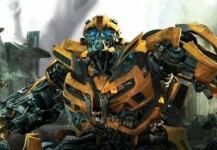 But the film also features a slew of cars—a Chevrolet Camaro, Ferrari 458 Italia and Mercedes-Benz E-Class sedan—all of which morph into Autobots (the good guys) when it is time to do battle.Along with the Cars and The Fast and the Furious films, Transformers forms a troika of franchises with a serious automotive focus. But the films go about it differently: Pixar’s Cars series doesn’t feature automotive product placement, and Transformers does. And it is big business.Chevy parent General Motors has been in on Transformers for the long haul, placing cars in the series’ first two films (including a Chevy Volt in the second movie before the car was released) and now Dark of the Moon, which opens June 29. But with the arrival of Ferrari and Mercedes, Chevy shares major screentime in Dark. The way the companies have approached their appearances speaks to the brands’ differences. Chevy has run an aggressive ad campaign, including a Super Bowl ad featuring a yellow Camaro transforming into Bumblebee (an Autobot). The company says that its association with Transformers has had a measurable impact on sales—roughly 10 percent of Camaros sold this model year are yellow, according to Chevy spokesman David Caldwell. Typically, yellow cars account for less than 5 percent of a model’s sales. Consumers bought about 80,000 Camaros last year, up from about 60,000 in 2009, he says. Conversely, Mercedes and Ferrari have not publicized the association and would not discuss their arrangements with the filmmakers. Luxury brands often believe placement in movies works best when it’s subtle. “Ferrari never does anything to support promotionally,” says Stacy Jones of El Segundo-based Hollywood Branded, a marketing firm that represents companies including boutique automaker Morgan. Typically, automotive placements involve a carmaker agreeing to an ad campaign, rather than a direct payment, in exchange for screen time. Still, experts say that carmakers might spend as much as $10 million to market their vehicles’ appearances in films. Caldwell declined to discuss financial details of Chevy’s ad campaign. The three companies do have something in common: Their cars won’t be transforming into the Decepticons, the film’s villains. Carmakers typically don’t want to commit money to a film only to be portrayed as the ride of a murderer, drug dealer or as the form for an evil robot. “When you have such a global film, you want to be the hero,” says Jones. In April, Dark’s director, Michael Bay, revealed on his official Internet forum that Mercedes “would never let us make their car into a bad Decepticon. Car companies really frown on that.” Instead, a blue Mercedes E-Class sedan will play an Autobot named Que. And Mercedes’ gull-wing SLS AMG also makes an appearance, though not as a Transformer. Instead, the silver supercar is the vehicle of choice for Rosie Huntington-Whiteley’s character, Carly Miller. Meanwhile, a Ferrari 458 Italia transforms into an Autobot named Dino. On the other hand, It is believed that, as in the last two films, the car-based Decepticons will be portrayed as nondescript vehicles. A publicist for the film could not be reached for comment. Pixar has handled the touchy “bad guy” subject in Cars 2 differently. While many of its vehicles are evocative of vehicles from the likes of Aston Martin and Lotus, in the case of the villains, Pixar got around the issue by styling the anthropomorphic cars after a defunct brand’s derided models: the AMC Gremlin and AMC Pacer.